Calling all Pony Friends- G1 My Little Pony Loving Family complete sets for sale! In 1988 Hasbro released the Loving Family sets including Mummy, Daddy and Baby Brother or Sister with themed cutie marks. All are printed with Twice-as-Fancy style markings, Mummy and Daddy’s combining to make Baby’s. Baby pony also has striped hair colouring combining both parents’. U.S. sets included one baby but Euro exclusives had both Brother and Sister. All three U.S. sets released are for sale on my eBay page under Seller ID: Aeru2 . 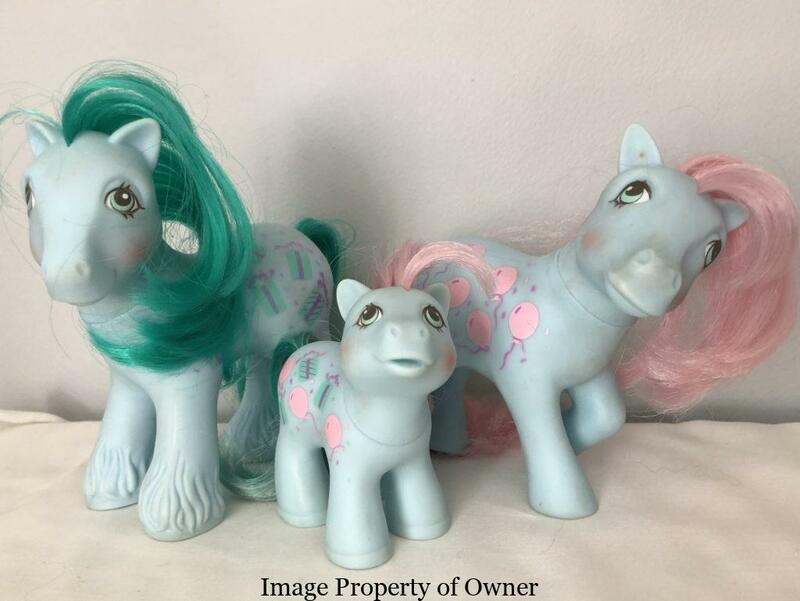 Most of the time collectors sell the individual ponies- take this opportunity to pick up a whole family 🙂 All ponies are in played-with condition, see listings for all photos. Lots more ponies and 80s greatness so check it out! EBay euro mlp g1 my little pony Hasbro loving family ponies mlp on sale rare mlp yello80sLeave a Comment on Calling all Pony Friends- G1 My Little Pony Loving Family complete sets for sale! Calling all My Little Pony collectors- ebay sale going on! 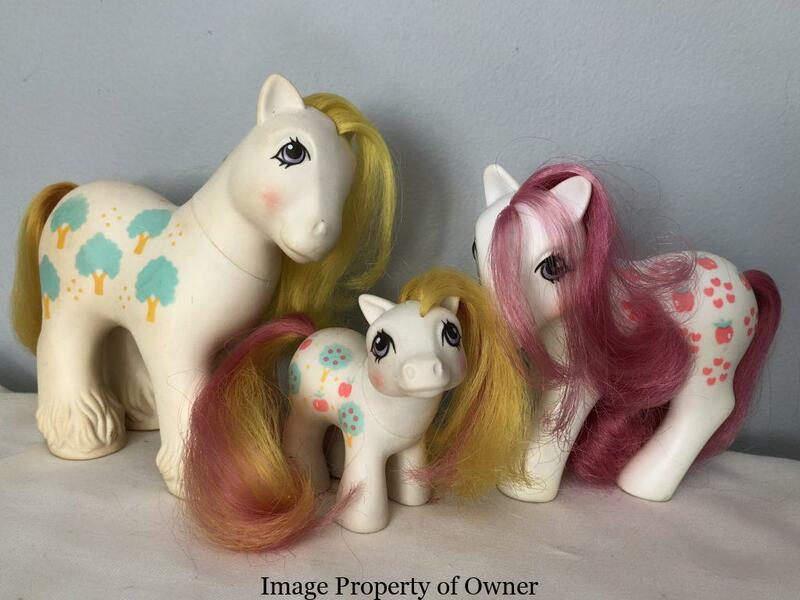 EBay mlp my little pony g1 on sale pony sale rare mlp sea ponies yello80sLeave a Comment on Calling all My Little Pony collectors- ebay sale going on! nhOne of the rarer G1 ponies and certainly amongst the Twice as Fancies is Nightglider. She is one of the year 6 set of TAFs. 80s toys G1 ponies japanese MLP mlp My Little Pony rare mlp takara yello80sLeave a Comment on Random My Little Pony Day!